Barriers to employment, transportation, public accommodations, public services, and telecommunications have imposed staggering economic and social costs on American society and have undermined our well-intentioned efforts to educate, rehabilitate, and employ individuals with disabilities. This session will discuss tools available for young adults for successful transition to the work environment. 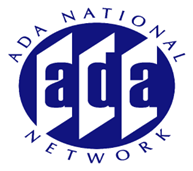 Attending participants will learn about the free, Punch-In Self-Directed resource sponsored by the Great Lakes ADA Center.